Beautiful, warm & welcoming home featuring an open floor plan with 4 spacious bedrooms, 5 baths, a great room w/vaulted ceiling & gas fireplace, kitchen/dining area, separate dining room, office, & more! Kitchen has granite counters, stainless steel appliances, gas cook top, & patio off the kitchen with a large fenced-in backyard & beautiful landscaping. Lovely wood floors in kitchen & dining room. Finished basement offers many options & includes a full bath, closets, & plenty of open space to use as an additional bedroom, fitness, rec room, etc. This west-facing home has an abundance of natural light. Immaculately maintained & move-in ready. Home feels like new. Plenty of storage throughout including storage closets in garage. Laundry room is on upstairs bedroom level. Home sits directly across from open space, playground, community pool/clubhouse. Close to schools, parks, trails, shopping/dining. 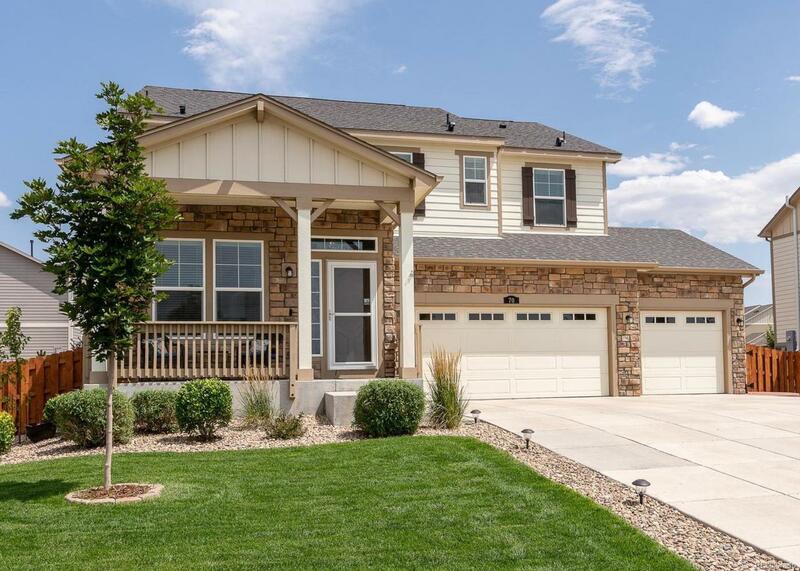 Quick access to I-70, E-470, DIA, fast commute to Denver. This is a must-see home!